The Track will be closed for the following dates & times for Race Events. See Events page for more information. 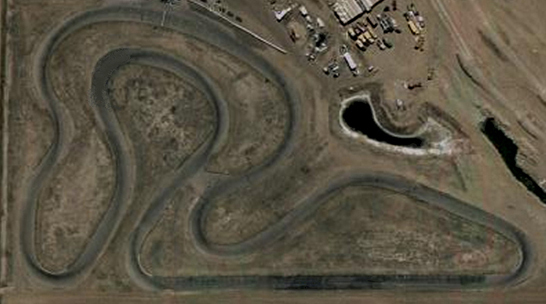 1 Mile long, 32 Ft wide paved road course with 10 turns. 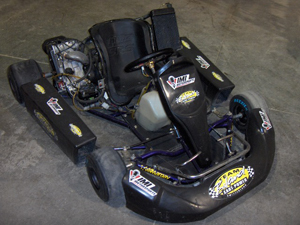 Cadet Race Kart Rentals with stock Honda four-stroke engine 6.5 Hp with speeds up to 45 Mph. 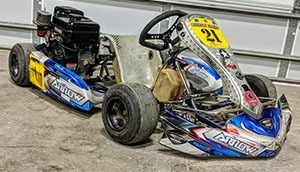 Full Size Rentals Intrepid race karts with modified Honda four-stroke engines producing 15Hp with more speed and torque than the regular rental. 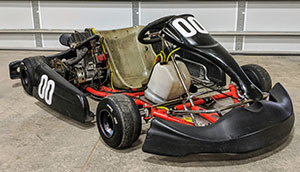 TKM Race Kart Rental Fittipaldi Kart with a 200cc TKM engine speeds up to 80 Mph. 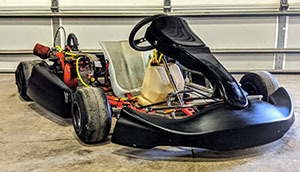 Biland Race Kart Rentals Margay Kart with a 260cc Biland engine up to 85 Mph. 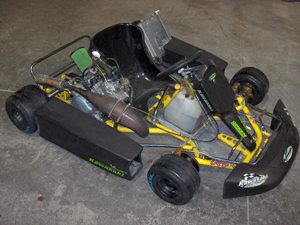 Shifter Race Kart Rentals CRG Kart with a 6 speed 125cc 2 Stoke Kawasaki engine 90 Mph. Helmets, driving suits, neck collars, and gloves are provided. No Open toed shoes allowed. By the Lap: 10 person min, $3.50 per lap, 10 lap min per person. By the Hour: $650.00 per hour, unlimited laps and group size, max of six karts on the track at one time.